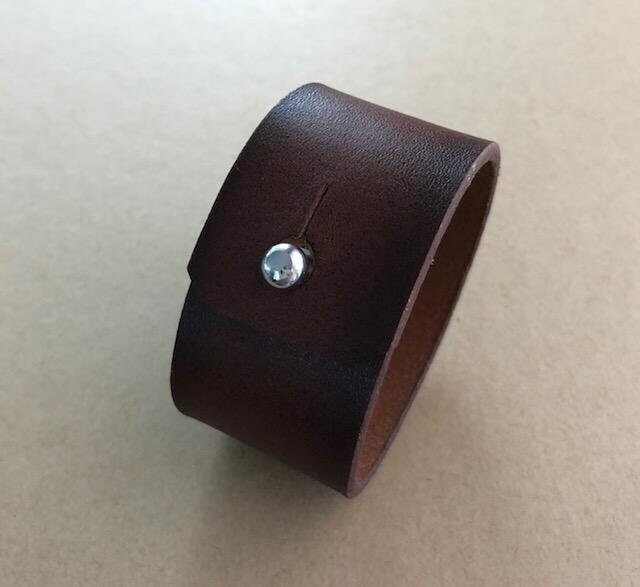 Women's handmade black leather cuff bracelet with button stud closure. Bracelet is 1.25 inches wide. Here is an example of how you can best determine an appropriate fit. 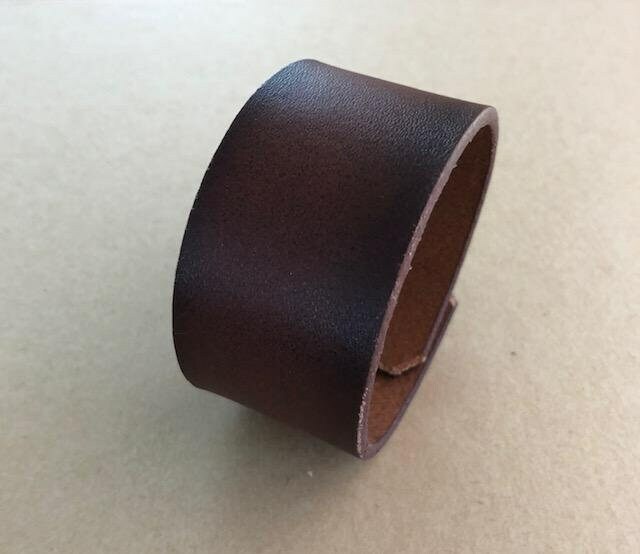 Wrist size 6.5 inches and you like your bracelets with very little movement, you are a musician or simply want it snug, you want your bracelet 6.5 inches (no movement) or 6.75 inches (a smidge of space). Wrist size 6.5 inches and you like your bracelets with movement, not too tight and not too loose. This is the most common desired fit for our bracelets; you want your bracelet to be 6.75 inches or 7.0 inches. Wrist size 6.5 inches and the bracelet is intended to be styled like a bangle or you like it very loose, this design easily spins around your wrist, you want your bracelet to be 7.25 inches or 7.5 inches. A tape measure does a good job measuring wrist size. This can be done using your sewing tape measure or even your everyday home improvement tape measure. Wrap the tape measure around your wrist so that it is snug in order to determine your wrist size. If you don’t have a tape measure but you have a regular ruler that’s fine too. Cut a piece of string, yarn or even a piece of dental floss to measure your wrist. Then use a normal ruler to measure the length of the string, yarn or floss.